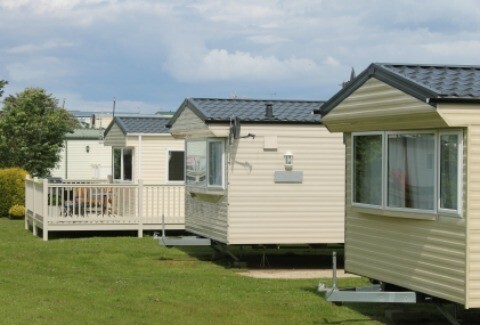 Sometimes mobile home dwellers, especially those with an older or smaller home may experience storage space problems. 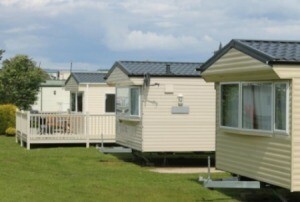 This is a guide about storage solutions for a mobile home. I live in a mobile home, so space is very limited. I don't have a shed, but if I did, storage there would also be limited. So, we take all of our things to be stored, put them in large plastic totes with a tight sealing lid, and store them under our trailer! I never stick anything in there that would get ruined if it freezes, and I also stick mine up on wooden pallets. Then I just replace my skirting and I have a lot more room to store things without paying to store them! This works great for most of my holiday items, yard sale items (through winter as I find things I want to sell, I shove them in a tote out there until summer), it would work for baby items that you might be saving for future use, the possibilities are endless. I would rather raise my beds and store the items under the beds in tote bins with lids. I am afraid that small animals/rodents might get into the totes under the house. Also, where I live there is lots of humidity and I would be afraid that those conditions would affect some items, such as clothing. We do store our lawnmower and some other items under our mobile home. Katie I too live in a Mobile Home. I am about to tear down my shed before it falls down. I just don't have the money to build a new one ,or the stamina to repair the old one . I have been Freecycling away much the I rarely use. Besides giving away I know when I need something(I have a good chance of getting off Freecycle. Now the other contributers question about storing my lawn mower. My landlord said it would be ok to store it in his garage. I also have relatives and friends that would offer the same. Oh by the way I will be doing much like you as far as storing some stuff under the trailer in totes. If you are renting your lot space in a mobile home park it would be a good idea to check with the manager to see if it is allowed. In the park where I live it is against the rules to store anything under our units. We are also limited to 100 square feet for our storage sheds. It seems to me that if you have more stuff than you can store in that space you probably have too much stuff. Thank You. I've been trying to figure out where I could keep stuff for a yard sale. LOVE the idea of storage totes under the trailer.